The Australian War Memorial in Canberra is one of Australia's most iconic institutions. Originally conceived during the turbulent years of the First World War, it was opened in 1941 and has grown to become one of the most important symbols of national identity. 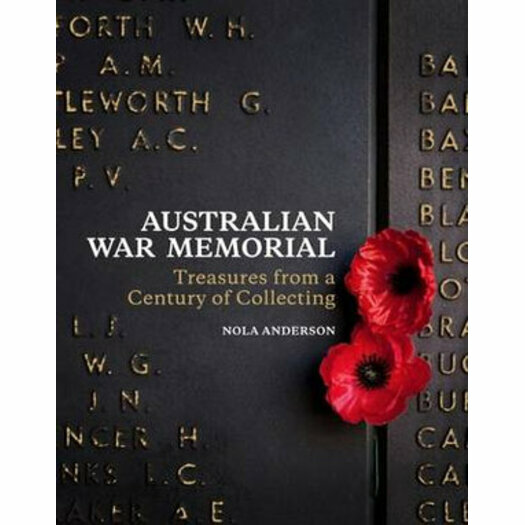 The Collection Book tells the story of the Memorial and the National Collection - one of the most significant collections of military history in the world. From the battlefields of Europe to peacekeeping operations and the current conflicts in the Middle East, the artefacts of almost a century of collecting are brought to life through the rich personal stories behind them. Nola Anderson is Assistant Director and Branch Head, National Collection, at the Australian War Memorial, responsible for the Memorial's vast collection of art, photography, film, sound, documents, and military heraldry and technology, spanning Australia's military history from the colonial period to recent conflicts. With over 20 years' experience at the Memorial, she has an in-depth knowledge of its collection, its history and the many stories that bring it to life. Nola has been a contributor to professional arts journals, has curated several exhibitions including the Memorial's Stolen Years, and was a Smithsonian Centre for Museum Studies Fellow at the National Portrait Gallery in Washington.